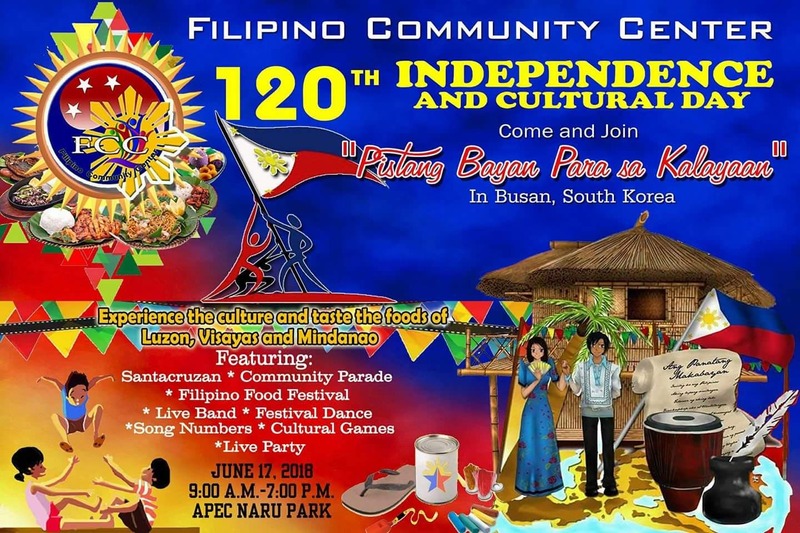 Participated by more than 30 Filipino organizations, the 120th Philippine Independence Day and Cultural Celebration 2018 is one of the major events of Filipinos to be held in Busan. This special whole-day affair aims at not only to unite Filipinos all over South Gyeongsang Province and other neighboring areas but also to showcase their unique culture and tradition. The dynamism of Filipinos from various communities or organizations will highlight this event through various presentations of their remarkable talents in songs, folkdances, games, food arts and crafts.